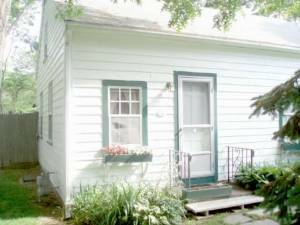 May thru October rentals by the week or longer are available. Reduced pricing is available for stays of 2 weeks or longer. 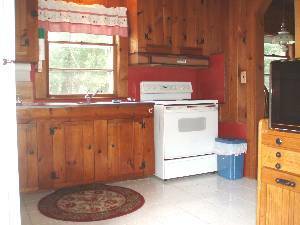 Each unit has kitchens equipped with a refrigerator, coffee maker, toaster, microwave, dishes, silverware, pots and pans. Cable TV is also provided (bring your own VCR). Units have heat that can be used to cut the chill spring and fall or in the event of a cool damp day. 1000' walk to the beach, restaurants, shops, kids & grownup entertainment. A fifty cent Trolley to additional beaches, Rte. 28 attractions and Hyannis goes right by the cottages! The units each have spacious yard areas with charcoal grills and outside furniture for your enjoyment. Our pavilion is available to all guests for outdoor gatherings protected from the weather. (see General Information). Picnic tables, additional chairs and a gas grill is provided for groups to enjoy outdoor dining, games and socializing while protected from the elements. 1,000' walk to the beach. Beach, good eats, many shops and conveniences nearby. 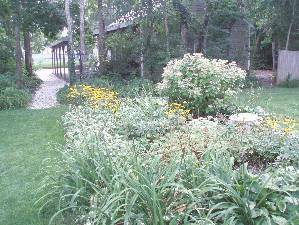 Enjoy our yard and lawn games! Efficiency sleeps 2. Outside shower too ! Knotty pine wall, ceramic, very clean. although the cottages were dated, and somewhat musty, the grounds were lovely, beaches were beautiful,the rates were affordable and the hosts were delightful.On a scale of 1-10, I rank this a 7. 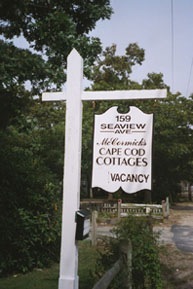 See web site: www.capecod-cottages....net Call any time 508.320.3500 Thank you for considering McCormick's Cape Cod Cottages!! Other Fees: $100 cash security deposit due on check-in.